Finally, Chapter 8 deals with state-feedback controller synthesis for discrete-time periodic systems. 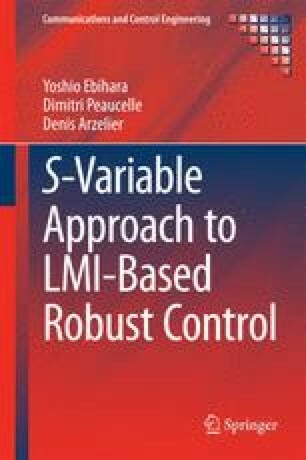 By introducing S-variables and applying change of variables that is almost identical to the LTI case, we can readily obtain SV-LMIs for periodic state-feedback controller synthesis. We illustrate by numerical examples that the SV-LMIs are indeed effective in conservatism reduction when dealing with discrete-time periodic systems affected by polytopic uncertainties.